Plum Puffs are always the answer when you’re feeling down! This tasty dessert is easy and perfect for impressing your guests! We have Marilla’s secret recipe for plum puffs, enjoy! Want more Recipes from Avonlea? Check out our Youtube Channel, or take home the recipes yourself in Cooking with Anne of Green Gables and The Avonlea Cookbook, at ShopAtSullivan.com! Defrost and roll out frozen pastry dough. Shape the dough into 8 even triangles. Use flour if the dough is sticky. Spread strawberry jam evenly onto each pastry. 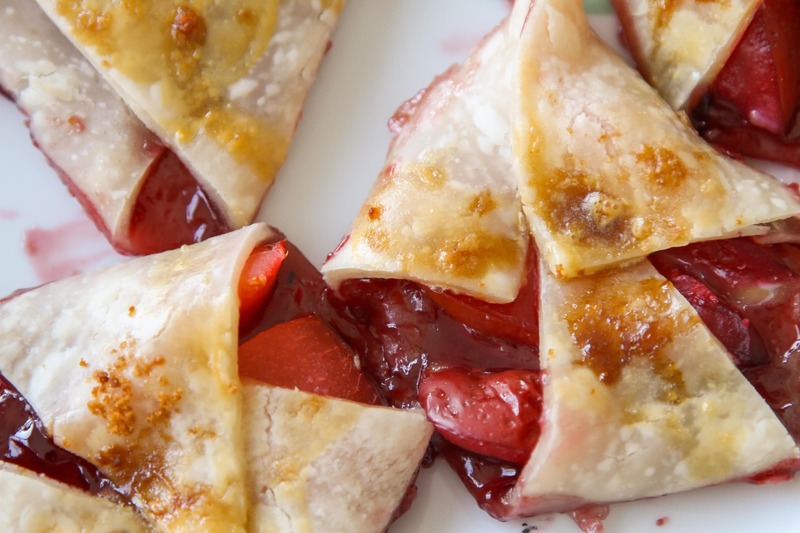 Cut plums into bite sized pieces. Add at least two slices to each pastry. 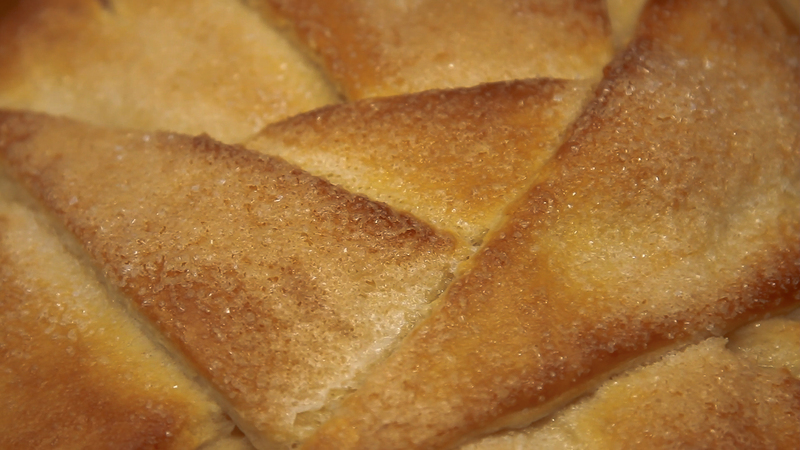 Fold each pastry by folding in the corners to the centre. Wash with egg yolk. Place the pastries onto a baking pan lined with parchment paper. Sprinkle brown sugar on top. Bake for 15 minutes at 375ºF. 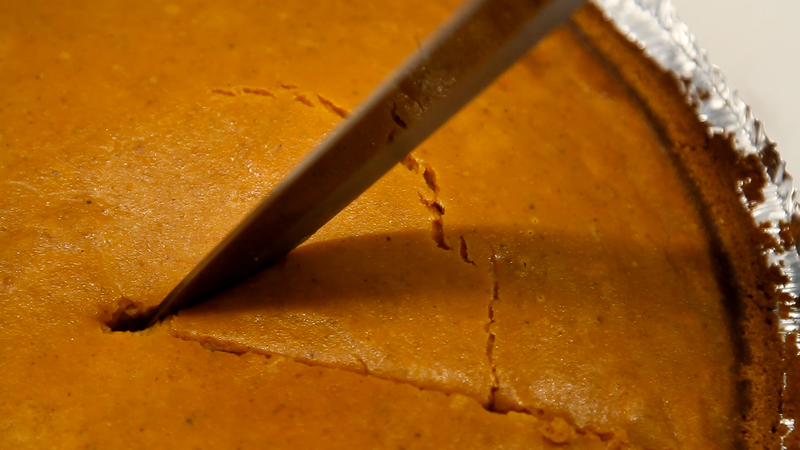 Enjoy this easy and delicious pumpkin pie recipe created by Gus Pike himself! With only a handful of ingredients, you can make a pie good enough to impress Felicity! It's almost American Thanksgiving! 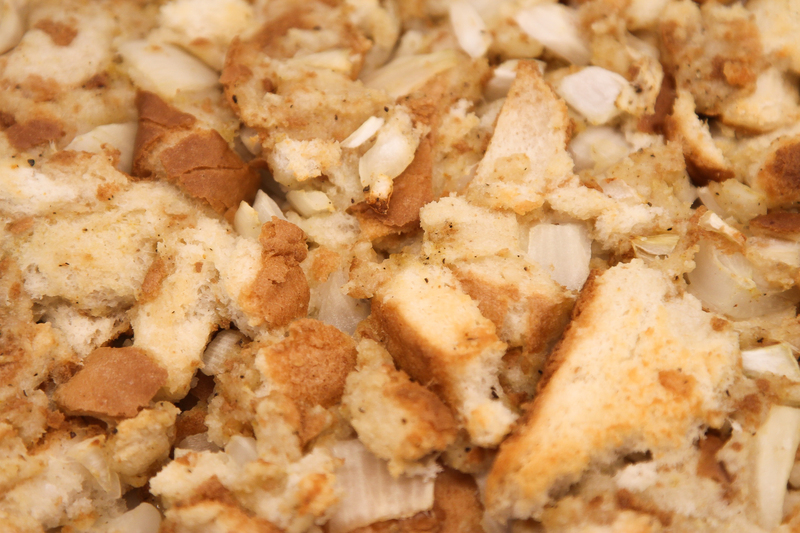 And we all know this classic holiday dinner isn't complete without Bailey's Bread Stuffing!